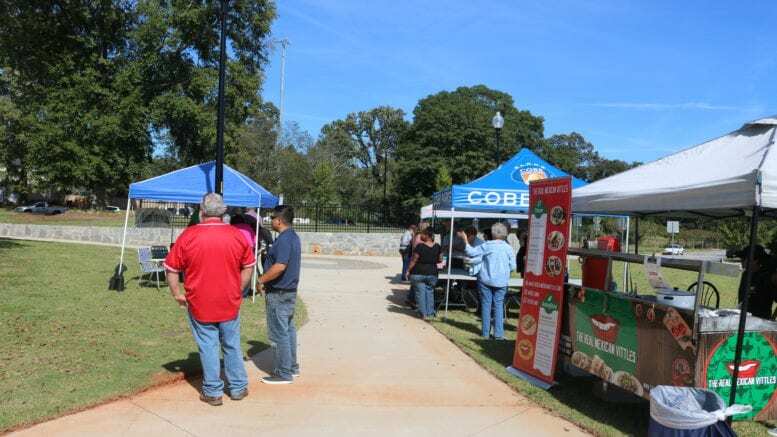 Mableton Square, the Cobb County park in front of Mableton Elementary School, will be the the site of a tree lighting and candy cane hunt on December 9 starting at 4 p.m. According to a public information release from Cobb PARKS, this will be Mableton’s first ever tree lighting ceremony. The square is located at 5220 Church Street, Mableton, 30126. The celebration starts at 4pm, with activities that include visits and photos with Santa, kids’ crafts, holiday entertainment, s’mores marshmallow roasting and more. And of course, children will have the opportunity to hunt for thousands of candy canes during the annual Candy Cane Hunt! Sponsors include The Riboli Family, Patterson Services Inc., The Hand of Alexander Inc., Cops & Kids and the Fraternal Order of Police Lodge #13. Mableton Square is among the newest parks in the county’s system. Be the first to comment on "Mableton Square tree lighting and candy cane hunt"